Home Car Accident Lawyer Personal Injury Vs. The Car of Tomorrow: Is the Law too Light on Automakers? Self-driving cars are robotic vehicles that are capable of traveling from one place to another without a human driver. As one of the latest developments in AI technology, the vehicle is touted as the future of a safer and more convenient riding experience. Statistics from the Association for Safe International Road Travel show that more than 1.25 million people die from road accidents every year. This leaves about 20-50 million road crash victims injured or disabled. Driverless technology aims to reduce error on the road by replacing human perception with more accurate computer systems and sensors. These include radars, cameras, GPS, and artificial intelligence. Footage from Tesla, in fact, shows the impressive capability of autopilot features in avoiding accidents. Research suggests that self-driving cars can help by improving road safety. They are, after all, able to control the steering, acceleration, and braking capabilities of a vehicle without a driver. Moreover, self-driving technology can also make drivers and pedestrians less prone to road safety problems like speeding, drunk driving, distracted driving, and more. The technology isn’t without its issues. Last March 18, 2018, a self-driving SUV hit a 49-year old woman in Arizona. She is the first recorded pedestrian fatality from an autonomous vehicle. Preliminary reports about the accident indicate that the machine was operating the car at the time of the collision and that the car was traveling at 40 MPH at a 35 MPH zone. The death of the pedestrian is a reminder that driverless car technology still has a long way to go before it can become the norm when we travel. So, as carmakers push for the large-scale deployment of driverless cars in the country, the possible legal implications of instances the technology does fail should be considered, as well. Case in point: in light of the revolutionary technology, how can personal injury attorneys fight for the compensation their clients deserve? Car safety legislation exists to help develop and maintain the nation’s transportation system while encouraging public road safety. Even with tough self-driving regulations, however, some experts worry that driverless car companies could dissuade car accident victims from filing a personal injury claim. Road accidents could, for instance, lead to more out-of-court settlements like arbitration — an alternative method that involves settling disputes outside of court. Consumer groups like the Center for Auto Safety worry that forced arbitration could dissuade crash victims from filing a claim. Arbitration can, after all, skew the odds in favor of big businesses. In turn, it could bar claimants from exercising their fundamental human rights. Not all is lost, though. Amendments to current the legislation are helping prohibit forced arbitrations. Some members of the Senate Commerce, Science and Transportation Committee claim that the current regulations, in fact, fail to protect pedestrians and it gives automakers too much leeway. Fortunately, some self-driving carmakers have been supportive in following legislation that would prevent possible machine malfunctions and other pedestrian hazards. Self-driving cars still require a lot of improvements to operate safely and make riding vehicles safer. 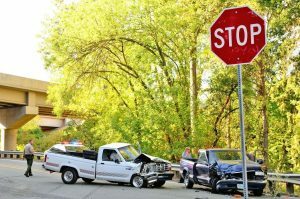 Until then, road crash victims require aggressive legal representation for advice and the proper compensation for their injuries. Every accident has its own set of facts, and you can count on our team for legal assistance when you file your claim.